2017 was a year that exceeded expectations for the leaders of Emmanuel Baptist Church East, JD and Andreina Fasolino. 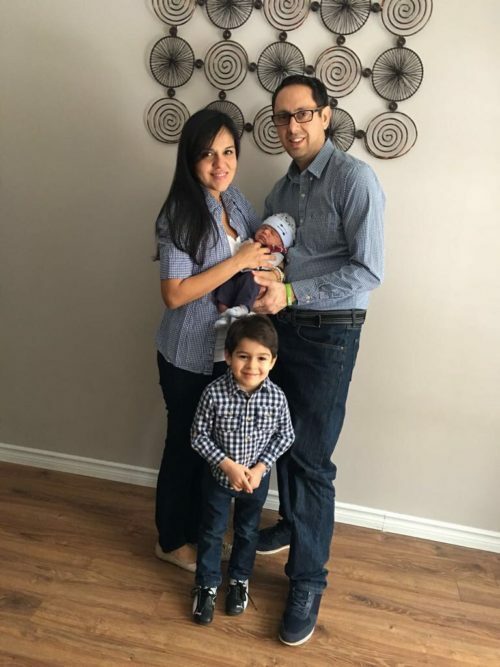 The Fasolinos lead a two-and-a-half-year-old church plant reaching the Hispanic population of East Toronto. In 2017, EBCE grew to a congregation size of 60 people, raised up leaders from within the church to engage with the vision, and mobilized the youth of the church to lead the body in worship. In two short years, they have witnessed 10 people follow Jesus through believer’s baptism. This is a huge victory since most of the Hispanic population in the area come from Catholic backgrounds and were baptized as children. JD and Andreina are originally from Venezuela, and before moving to Toronto, they were leaders in a large church of 800 people. Upon moving to Canada, they connected with a Hispanic Southern Baptist church, Emmanuel Baptist Church, who had a vision to plant 20 Hispanic churches by 2020. Emmanuel Baptist Church East was one of five new churches planted in 2015, and they are currently the only Hispanic Southern Baptist Church in the east. JD is a pastor fulltime, and Andreina works in the marketing field. They have a three-year-old son named Daniel Isaac, and recently welcomed a brand-new son, David Andres, on December 28th. Needless to say, JD and Andreina are not getting much sleep these days, but they have a fresh vision for their church for 2018. This year, they plan to incorporate their church and send out leaders from their body to plant a church in an area they have pinpointed about 30 minutes away. They are continuing to train leaders from within the church to serve underneath their leadership, and they plan to continue engaging with their community. Their church building is just down the road from a welcome center, and they partner with the welcome center to meet new people and help them assimilate into the area. They offer Spanish translation services, mentoring, and financial counseling to those who need it. Once a week, they rent out the gymnasium at their local school and invite the community to play volleyball. EBCE also partners with the Durham Pregnancy Center nearby to help mentor young moms-to-be. Their vision is to be a church who lives out their faith every day of the week, not just on Sundays, and make an impact in the community by practicing the values in the Bible. 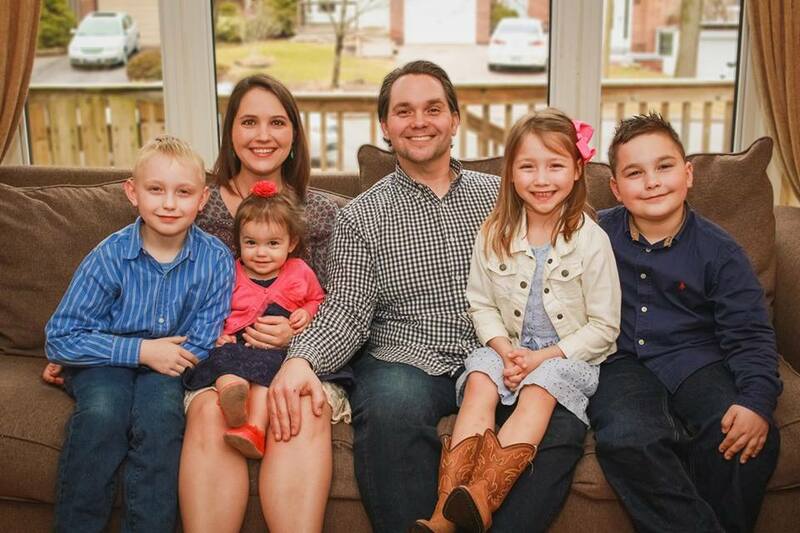 As JD and Andreina continue to lead Emmanuel Baptist Church East, please pray that they will find a home to live in and for financial provision, as Andreina is out on maternity leave. Please join us in praying for strength and guidance as they work to reproduce themselves in their core team, and in the new church plant so they can continue to reach the Hispanic population of East Toronto. “Discipleship is the key. Until you do this, there will not be multiplication.” This was Church Planter, Daniel Smith’s answer to the question, “What do you want people to know about your church?” Daniel and his wife, Evelyn, are visionary church planters with a passion to see churches planted out of their current church, Baptist International Worship Centre in Brampton. They started BIWC in 2012 with a vision to multiply across the world. Currently, their church meets on Sundays, and Daniel preaches in English and Cwi, a language native to West Africa. 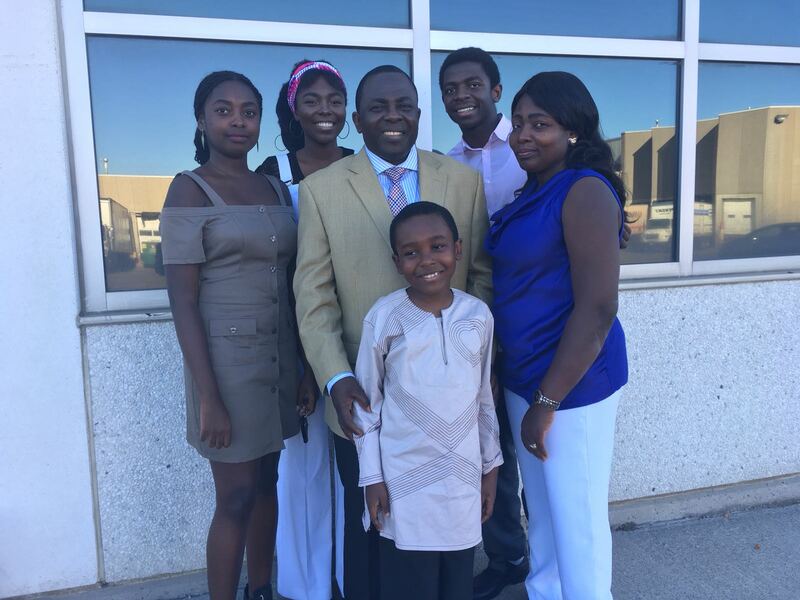 Daniel said, “Immigrants [from West Africa] are coming in large numbers,” and he and Evelyn see this as an opportunity to impact more families with the gospel. By day, Daniel works in the accounting department of a large security company, and Evelyn cares for senior adults at a local nursing home. They have been married for 23 years, and they have four children, one of whom still lives at home. They are currently in the process of planting another church in Toronto, which will function as a multi-site of Baptist International Worship Centre. They identified a leader from within their church who felt called to lead and trained him to lead a Bible study out of his home in Toronto. The Bible study in Toronto takes place on Saturdays, and they have already seen God at work within this new body of believers. A lady named Guana attended the Bible study and gave her life to Jesus two weeks later as a result of her experience. They immediately began walking with her through the discipleship process, MasterLife. Daniel is passionate about mentoring church planters, and he believes the work God has called him to do is paving the way for the church of the future to be stronger and more centered around the gospel of Jesus. Daniel is less focused on numbers, but more focused on teaching converts the demands of the gospel and how to live their lives following Jesus. Please join us in praying for Daniel and Evelyn Smith as they celebrate five years of ministry in Brampton, launch their next church in Toronto, and pray through the next steps for this multiplication movement in Brampton. Jennifer and Christina grew up as daughters of ministers. They moved around often and watched their parents love people and preach the gospel. Christina says, “God was always at the center of everything our family did.” Growing up this way helped these sisters see truth from a young age. Jennifer watched the struggles her parents faced in ministry, and she also watched the growth that took place in their life as a result of the struggles. This increased her faith and gave her the values she has today. 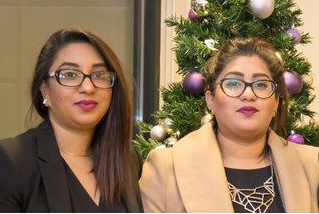 Both girls live in Toronto with their parents, Yousif and Jacqueline, and are a very active part of the ministry at House of Prayer International Milton, the church they helped their parents start two years ago. Jennifer is 27 years old, sings in the choir, and helps teach young children about Jesus. Christina is 30 years old and serves the youth who are a part of their church. Before moving to Canada, their family lived in Pakistan where they faced enormous persecution because of their faith. They left Pakistan after their uncle was assassinated for preaching the gospel. This impacted their faith greatly. Jennifer says, “It makes you want to hold on to your faith tighter when you know that someone is so against what you believe.” In Canada, they get to experience a religious freedom they do not take for granted. Perhaps their biggest culture shock upon moving to Canada was seeing people refuse to take advantage of their religious freedom. They are thankful for this freedom and for the opportunity to help their parents lead a multicultural church which reaches people from all walks of life. Christina works for a large shipping company, and Jennifer plans to go to Cambridge Heritage Seminary to prepare for ministry. Serving in a church plant is not always easy, and there are many lonely days. Jennifer and Christina are praying for God to send more mentors and leaders into their life for encouragement and support. They are excited about the things God has in store for House of Prayer International Milton. To learn more about their parents and House of Prayer International, click HERE. Never underestimate the importance of discipleship. 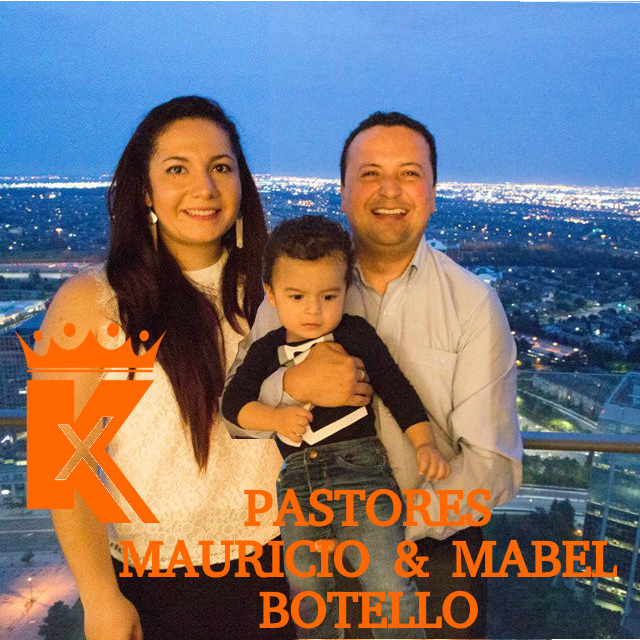 Mauricio and Mabel were working full-time as a computer tech and a dance teacher in Colombia, South America when they were approached by leaders in their church about being discipled into ministry. They began discipling others, and eventually became leaders of cell groups within their church. They knew God was calling them to something different, and after praying, they both had dreams that helped affirm they would be moving to a multi-cultural place. God later affirmed the new place would be Canada, 4,000 miles away from their friends and family. After 2 years of preparation, including learning a new language, and mountains of paperwork, they moved to Toronto and began building relationships and sharing Jesus through those relationships. Initially, they met with four to five others in the dark, cold basement of their apartment. As their numbers grew to fifteen, they outgrew the basement and searched for another place in the community to meet. In July 2017, King’s Church Mississauga launched weekly gatherings at the local community center, and they have already seen numerical and spiritual growth take place. King’s Church Mississauga primarily ministers to Latinos, and their heartbeat is to disciple immigrants, refugees, and professionals. There are 35,000 Latinos in the city, most of whom are professionals. Mauricio said God told him, “I sent you there [to Canada] because I have sheep there without a pastor.” This was further affirmed as God provided Mauricio a job as a delivery driver for a local company. Every weekday he drives around the city, meeting professionals in the community. This provides him with the perfect avenue to build relationships for the purpose of sharing the gospel. King’s Church Mississauga has a vision to evangelize, disciple, and send out. They plan to start seven churches in seven years. They would also like to find a translator who can help them start an English service in the near future. Mabel is in school to become more fluent in the English language, and she spends her days caring for their 21-month-old son, Oliver. She also leads music for their church’s weekly gatherings. The Botellos spend a lot of their time pastoring couples, specifically immigrant couples who left their home country in pursuit of their dreams in Canada, and who do not have family close by, or a support system in place to help them navigate the difficult times. They are passionate about discipling these couples toward a Christ-honoring marriage and walking with them through their struggles. They are seeing couples begin to understand God’s design for marriage, and they are encouraged by the marriages that have turned away from divorce as an option. They are praying for more influence in the huge Catholic and Muslim communities around them. They are also seeking God for the next church location. Please join us in praying for King’s Church. Multiplication is the heartbeat of Fellowship Pickering. The 4-year-old church plant located in Pickering, Ontario, is reaching a highly diverse, densely populated and widely unchurched area in North America. Matt and Arrica Hess first planted Fellowship Pickering in October of 2013 and by October of 2016, the church multiplied to plant Fellowship Church Rouge Park and Fellowship Oshawa. 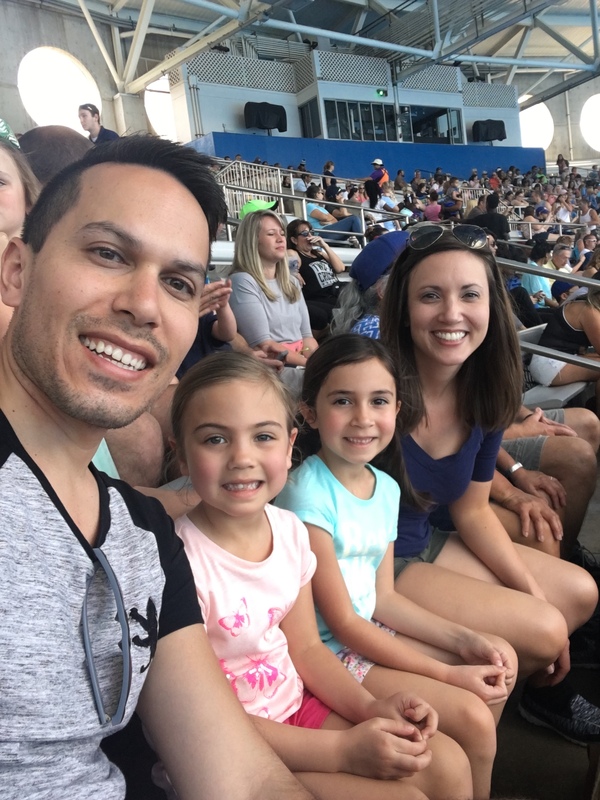 Matt grew up near Tulsa, Oklahoma, and felt called to ministry as a 12-year-old. He joined the Marine Corp when he was 19 and again felt called to pastor a church. He began preaching, but still felt like something was missing. After moving churches and starting seminary, he realized that he had never truly given his life to Christ. After surrendering to follow Christ, he and Arrica started to feel called to church planting. When they learned of the need in Toronto, they knew God was calling them to plant Fellowship Pickering. Their family moved to Toronto and began knocking on doors and starting Gospel-centered conversations. Matt trains and mentors church planters to fulfill their vision of multiplication. Although they have already planted three churches in the Toronto area, they hope to see nine more planted by 2023. Their goal is to follow where the Holy Spirit has already started to work in the lives of those in their community and raise them up in evangelism and discipleship. “We teach our church planters how to get in to the harvest early and often…to have a mentality to multiply from the very beginning,” Matt says. In the future, they hope to have a permanent space where they can gather to worship together and train believers to plant new churches in their community. Mike met Missy when they were both college students. Mike began to share his faith with her and within a few short months, Missy shared Mike’s passion for having a relationship with Christ. As they grew in their faith, they began to feel called to full-time ministry and stayed obedient as God called them first to seminary, then to church planting, and finally to Toronto. They were alone in a city of 3 million people, but they knew God was calling their family to be a light in a lost community. They did not begin with a Bible study or a church service. Instead, the Seaman family began by living life on mission. They looked for opportunities to help people in the community and as they did, people began to notice. The more they helped, the more people wanted to know about them and why they acted the way they did. Over time, God built up a core group of individuals and the Seamans started a Bible study. The Bible study grew in to a worship service, and today Trinity Life Church is a growing body of believers. Trinity Life Church focuses on local and global engagement. Mike hopes this body of believers will feel empowered to reach the unreached people in their city and around the world. Mike is currently training members at Trinity Life Church in church planting strategy, with the vision of multiplying churches across Toronto. I’ve been reading many reviews of smart watches. I’ve looked at the Apple Watch, Pebble, FitBit, Garmin, etc. I’ve read about prices, make and style, and I’ve tried to determine what each different device does…some do similar things and some are unique. One of the things I keep running across is the healthy discussion about Apple making things we don’t really need. What I find amusing is that Apple has made it their mission to create things that aren’t essential, but we end up not having a clue how to live without it today. An example is the iPod/mp3 player. Many of us can’t imagine living without one. Carrying around a walkman or discman would be crazy today. The same goes for smart phones & tablets. In leadership, often the decision is determined by what the majority thinks and is not driven by what is best for the group (especially when many are initially against the decision). When we lead others based on consensus resulting in less than best decisions, we are not really leading anywhere that matters. Listen :: Just because you are not going to lead by consensus, does not mean you don’t listen to others…especially those on your leadership team. Allow for people to speak into the decision. Most likely, you are not the smartest person in the room, so take the advice of others into consideration so you make the best decision. Learn :: Take advantage of every next step and spend time learning as much about the options on the table as you can. Assume the posture of a learner. Research, ask others, and dive into other similar decisions you can find to discover what happened and determine the consequences – good and bad – of the decision made. Push Back :: Often we make decisions at step one and never consider step two and three to follow. Take time to push back on the options…if we do this, what happens next? What new issues come from making this decision? The trick in this is about sharpening each other in the decision process, not being Negative Nick or Debbie Downer. There is a difference! This will allow you to move forward with boldness and confidence. ONE Voice :: After you take the needed time to make the best decision, make sure your team moves forward with one voice. This is not the time to have “side-conversations” about why you don’t like this or that. That time was in the above steps. At this point a good leadership team will move forward with one voice and one movement. I hope this has spawned some thoughts for you as a leader. Now grab your iPod, turn on some tunes, take your smartphone, computer or tablet and jot down some thoughts about ways to lead your team – not to consensus but towards their best decision. Brampton, north of Toronto, is the fastest growing city in Canada and has one of the largest concentrations of South Asians in the country. The city has followers of Islam, Sikhism and Hinduism, the largest population among these being Sikhs. We at LEAF Canada (Life Eternal Asian Fellowship) are focused on reaching South Asians in the Brampton area and it is our desire to see them come to Christ. This summer, we invested time getting to know the communities around our church and we called our program “Love Brampton”. To do this, we asked four teams from the US to come help us do outreach activities in connecting with the Asian community. During the month of July, these teams each spent about a week with us – visiting places of worship for the various religions practiced here, going door-to-door distributing Bibles, Scripture portions, and Jesus Film DVDs, and inviting the kids in the community to come to Kid’s Clubs. When one of the teams went door-to-door, they came the home of a Hindu family and talked with the wife. She said that she and her husband shared a large house, but they spoke very little to each other and there was much unrest in the family. The team prayed with her and asked God to restore their marriage relationship. The lady said the team was like an angel of God visiting her that day, bringing exactly what she needed. Many people in the area were given the opportunity to hear about Christ right on the doorstep. During the month, over 2000 Jesus Film DVDs were distributed, each DVD containing the film in 16 local languages. DVDs of Christian testimonies were also distributed. The highlights of each week were the Kid’s Clubs that the volunteer teams ran in various local parks over a period of 12 nights. The response of the kids was amazing – an average of 100 children attended each Kid’s Club event, with numbers running as high as 198 kids registered at one of the parks. Many people in the community wanted to take part in helping the volunteers run the events. One young lady came a few times and offered her help in translating and helping the kids. In another park, one of the men from the community brought food and drinks for everyone at the Kid’s Club (more than 350 children and adults), as a way to show thanks for the volunteers who were taking time to show love to the children. The men and women of that same community were so grateful that they invited us to come to their Mela (celebration) event that weekend. During the Clubs, the volunteers played many games with the children, did crafts with them, and also told them several Bible stories. We involved the men and women in games as well, and they really enjoyed taking part in these fun events. We then had the opportunity to share the Gospel with them. While the children were doing activities, people from the church walked around the park and talked to the parents to build relationship with those who came. We had great conversations with them and were able to share the Gospel to many. God has blessed us immensely through these teams which involved people from churches in Stonegate Fellowship Midland Texas, Hands on the Mission North Carolina, Henderson First Baptist Church Kentucky, and First Baptist Church Oceanway Jacksonville, Florida, as well as local Christians such as Richard from OM, Jeremy Langley and his family (IMB) and Joe and Susan (IMB), Mrs. Mussart Anwar, Mrs. Arzoo Shaw and her two daughters and many others local believers. At the end of the Love Brampton events, local Christians went around to various homes to do follow-up with those who seemed interested in knowing more about Christ and to pray with them in their homes. It is a joy to serve Him as we continue to reach Brampton with His love and His story. Learn how Jacob and his wife, Tamsyn, are serving their community of Glendon College through this video blog. “Would you consider leading a small group?” I felt my friend was ready to lead and would do a great job. She had natural leadership ability and had grown spiritually in the months she’d attended our home group. “I’m not sure I can,” she answered. When I asked why not, I discovered that I was the reason she felt inadequate. I had been leading the small group using all my favorite technology. She didn’t have the gadgets or the know-how to use them. I also used Bible study methods she hadn’t been taught. No wonder she was fearful of leading a small group, because what she saw me do was not reproducible for her. Jesus words are simple, “go and make disciples of all the nations…teaching these new disciples to obey all the commands I have given you.” This command begins the cycle…make disciples who make disciples who make disciples…. If the call is to make disciples who make disciples, then everything I do should be reproducible. Consider this and every other aspect when planting a new church. If our worship service is too costly, too intricate, or too hard for people to learn—or do themselves—we are missing the mark. If we set up small groups that are complicated or intricate, we may prevent new disciples from becoming disciple-makers.. I love a good “pour over coffee” (it’s so pure and so good). Take a look at this diagram. Think through all the things you have going on in ministry and do a “pour over” into this diagram. Are people able to move through the stages with confidence to become disciple-makers? Are we leading in ways to empower others to lead? Praying for disciples who are making disciples and churches that are starting new churches to continue to come to life across the Greater Toronto Area.